This is a guide to some of my favorite places to eat in the Bay Area (excluding Napa Valley, which deserves its own guide). This is heavy on places in the so-called “peninsula” between San Francisco and San Jose, particularly the Palo Alto area, where I used to live, but SF and SJ are represented too. Best Splurge: Aquerello (San Francisco). Probably the best meal of my life. The “trendy Italian” restaurant has absolutely out-of-this-world food, and the classic tasting menu we did featured two of the best things I’ve ever eaten: the lobster panzerotti in spicy lobster brodo and the ridged pasta with foie gras, black truffle, and marsala wine. 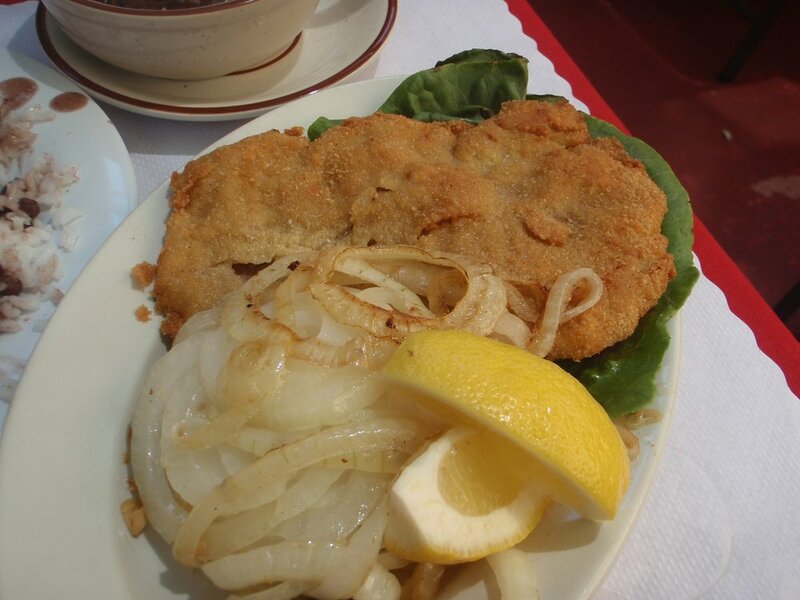 The latter, pictured below, is still a regular on the menu. Runner-Up Best Splurge: Campton Place (San Francisco). This Cal-Indian fusion just earned its second Michelin star, so prices will probably go up soon, but at the time we ate there, it was a surprisingly reasonable (for SF fine dining) $96 for six courses, plus multiple amuse-bouches and treats. There are also slightly cheaper prix fixe menus available. The food is simply incredible, both in terms of presentation and taste, and the service could not have been better (it’s worth noting the staff is phenomenal about accommodating allergies and dislikes, which cannot be said of all restaurants with tasting menus). 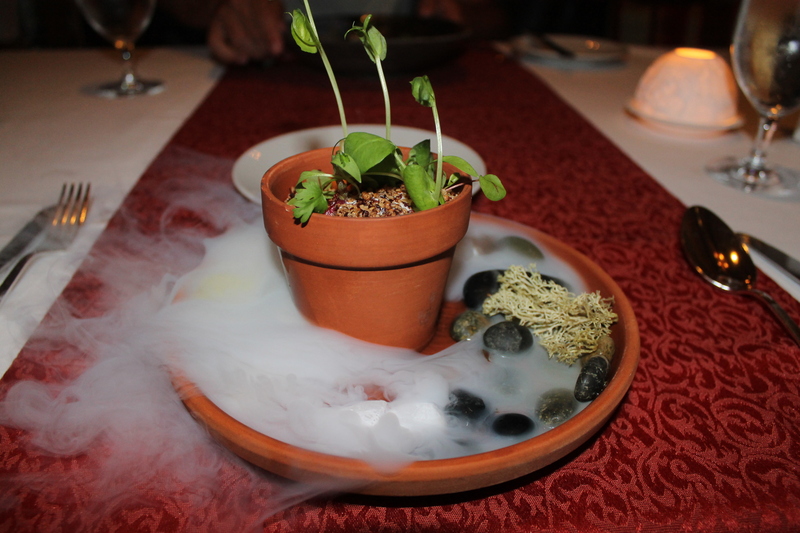 Pictured below is the famous “spice pot” complete with dry ice to represent the SF fog. Best Asian Fusion: Tamarine (Palo Alto). This is as close as Palo Alto gets to a “scene,” but the food is very good (especially if you’re on an expense account). Highlights include the clay pot cod, shaking beef, and coconut rice. Best (Light) Brunch: Cafe Borrone (Menlo Park). Excellent (if slightly overpriced) brunch food, in a nice setting with a huge dog-friendly outdoor seating area. It’s always crowded but lines are never too bad because of the plentiful seating and a good amount of staff. Highlights include scrambled eggs, Belgian waffles, and blueberry biscuits (ask for them grilled with butter). Check out the great Kepler’s Books next door afterwards. Best (Heavy) Brunch: Los Gatos Cafe (two locations in Los Gatos). Four words: cinnamon roll french toast. It’s far from health food, but it’s about as delicious as brunch can be. The lines here on weekend mornings tend to be very long. Cash only, and they have some dog-friendly outdoor seating. Best Burrito: Taqueria Los Charros (Mountain View). Cheap, filling, incredibly delicious burritos. Their chicken is perfectly seasoned, and I always get at least two meals out of a single burrito. 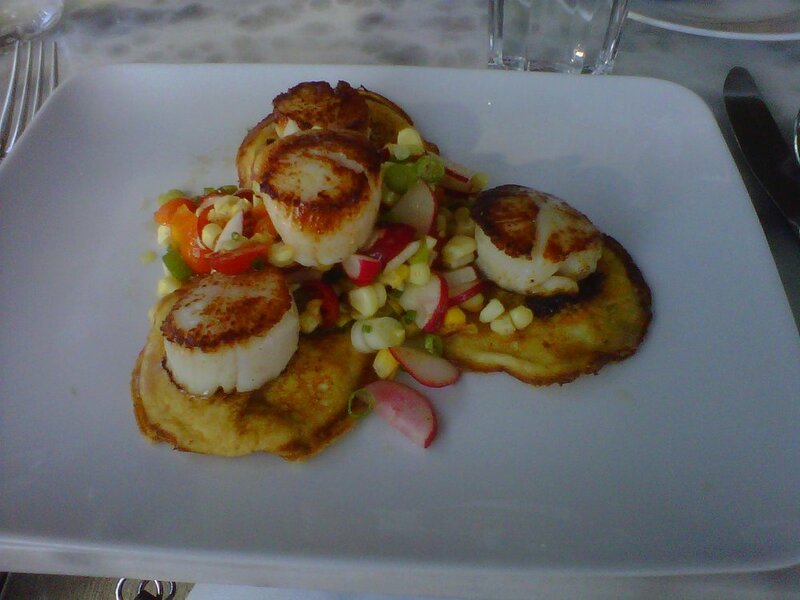 Best Californian: Bistro Elan on Birch Street (Palo Alto). Despite the French name, the food is not really classic French. They have steak frites on the menu, but they also have spaghetti carbonara and a lot of fresh seafood, including their wonderful scallops shown below (served with rotating, seasonally appropriate sides). When I think of “California cuisine” this is exactly what I think of: fresh, local ingredients, prepared relatively healthfully, with small portions and big prices. Best Creperie: Bistro Maxine (Palo Alto). Authentic French crepes in a charming little cafe. Portions are on the lighter side. Highlights: Mont St. Michel (brie, apple, and walnut) and poulet a la creme (chicken and creme fraiche) crepes. Runner-Up Best Creperie: Crepevine, a ubiquitious Bay Area chain that has about a dozen locations in the area and serves huge and tasty crepes, sandwiches, pastas and breakfast foods. Not nearly as authentic as Bistro Maxine, but equally delicious in a more American way. Best Cuban: Los Cubanos (San Jose). Among the best Cuban restaurants I’ve found outside of South Florida, this place has very good food, friendly service and a cute atmosphere (nice patio and Cuban currency and photos framed on the walls inside). Their bistec empanizado (pictured below), my favorite Cuban dish, is excellent. Best Cupcakes: Sprinkles (Palo Alto). I feel a bit guilty about this one, since it’s a national chain, but the Palo Alto location was one of the first, and it’s still by far my favorite cupcake store ever. The cupcakes are about half frosting, but are somehow not overpoweringly sweet. They are famous for their Red Velvet, but my favorites are the ones including chocolate, especially Dark Chocolate, Milk Chocolate, and the late, great Mocha (RIP). Check their Facebook or Twitter for occasional buy one get one free specials. Runner-Up Best Cupcakes: Kara’s Cupcakes (many bay area locations, including Palo Alto, San Jose, and San Francisco). A local cupcake chain, their cupcakes are slightly smaller than Sprinkles but slightly cheaper too. Overall I don’t like them quite as much, but their fleur de sel (chocolate cupcake, chocolate ganache frosting and a salty caramel filling) is an absolute standout. If you miss them during your visit, pick up a cupcake to-go at their SFO airport location. Best Fast Food: In-N-Out Burger (many locations, including San Francisco, Redwood City, Mountain View, and San Jose). This one is kind of a “duh.” No other fast food place in the world is even half as famous. I sadly didn’t eat here that much while I lived in California but it’s all I’ve been thinking about since I left. You can’t go wrong with the classic double-double animal style. Best French: Zola (Palo Alto). This French bisto opened up shortly before we moved away, so we only ate there a couple times, but all our meals here were truly excellent, and I’m sure we would have been regulars had we stayed in the area. The brown butter ricotta gnocchi with a slow-cooked egg on top is a standout. Best Indian: Amber India (Los Altos, San Francisco). My favorite Indian dish is butter chicken, and they’re famous for theirs, deservedly so. It’s the perfect combination of creamy and tomato-y and I can never get enough of it. Their prices are on the high side but the lunch buffet is fairly reasonable. 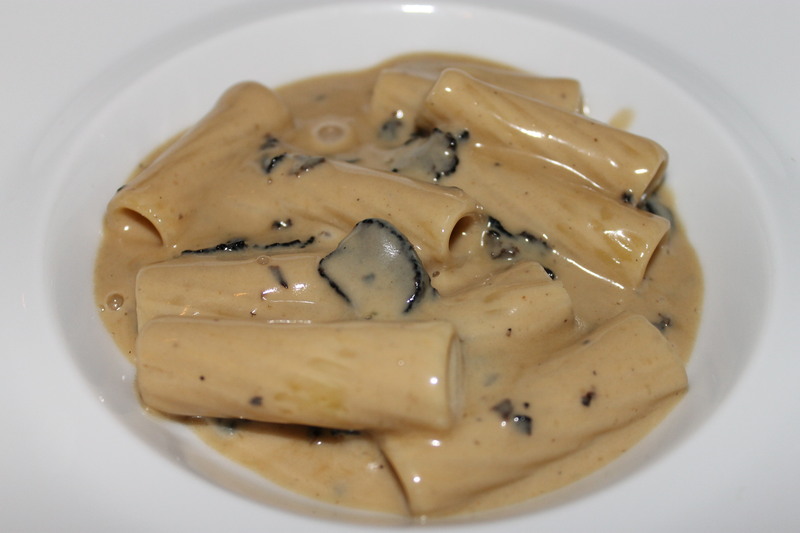 Best Italian: Donato Enoteca (Redwood City). I’ll be honest, Italian is not one of the Bay Area’s food strengths. This place is very good, but far from the best Italian restaurant I’ve ever been to, and it’s also quite expensive. 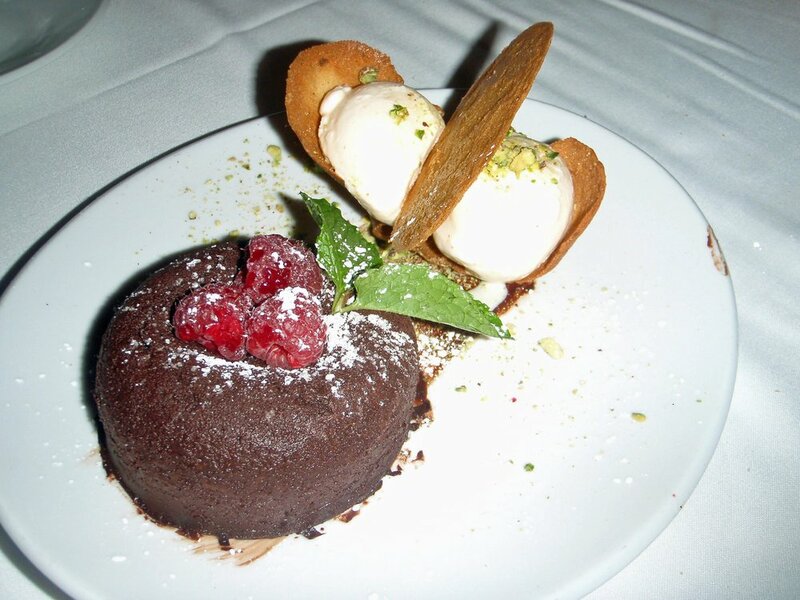 Highlights include the buffalo mozzarella, fish dishes, and the warm chocolate hazelnut cake. Best Macarons: Chantal Guillion (Palo Alto and San Francisco). The first place that truly made me love macarons. The confections here are light and airy but definitely don’t skimp on the flavor. Chocolate and red velvet are standouts. Best Mediterranean/Israeli: Oren’s Hummus (Palo Alto, Mountain View). This place has become very popular and there are almost always lines, even on weeknights, but the food is excellent and reasonably priced and you should enjoy your meal here very much if you can get past the inattentive service. Highlights include falafel, chicken and rice bowls, and (of course) the hummus. Best Pizza: Patxi’s (many bay area locations, including San Francisco, Palo Alto, and San Jose). Their deep-dish pizza is so good I haven’t even been able to find deep-dish in Chicago that’s as good. My go-to order here is the spinach pesto pizza. Best Seafood: Old Port Lobster Shack (Redwood City, San Jose). It may seem a bit counter-intuitive to go for classic New England seafood on the West Coast but this is the best lobster roll I’ve ever had, and I’ve spent a cumulative year of my life (or more) in Maine. You can choose whether you want your lobster roll Maine style (cold with mayo) or “naked” (warm with butter). Their lobster bisque, lobster mac and cheese, and blueberry cobbler are also very good. Best Steakhouse: Alexander’s Steakhouse (Cupertino, San Francisco). This Michelin-starred local steakhouse is a great option if you have non-carnivores in your party, because they have innovative appetizers and side dishes that are worth a visit in their own right. The steaks (pictured below) are excellent too, of course. 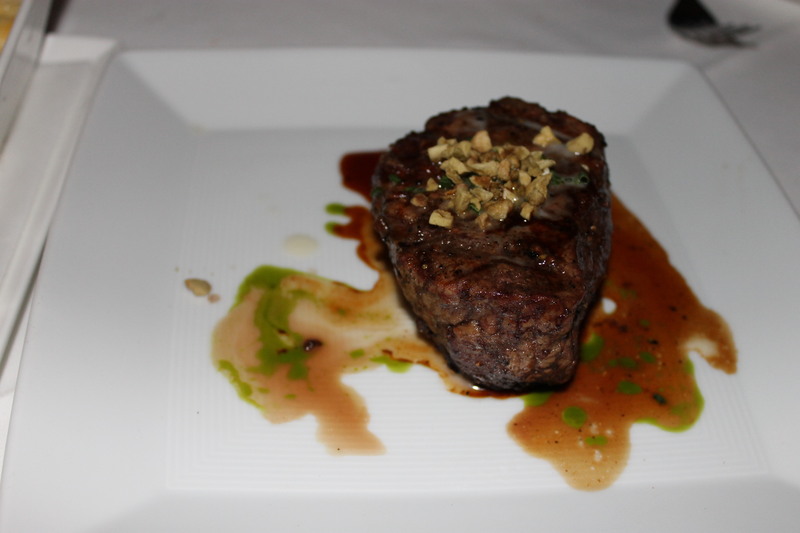 Runner-Up Best Steakhouse: Fleming’s Prime (Palo Alto). This is a national chain, but it’s the best alternative I’ve found in the Bay Area to the super-spendy Alexander’s. They offer a number of promotions that bring prices down, including prime rib specials on Sundays. Their molten lava cake is one of the very best I’ve ever had and I’ve had, shall we say… a lot.